I became a Mopar fan as a teenager. When I was 15 my boyfriend (now husband) took me to my 1st car show. I topped the hill and there sat a 1971 Barracuda! It was Burgundy in color with those quad headlights, a shaker hood sitting over a 440 Hemi! How could you not fall in love with that car? Later on I was blessed with a 2001 Ram Sport quad cab truck for my anniversary by my husband who was a die hard Chevy guy. I had wanted one for years. I loved the look of those trucks. Seven years down the road my husband took me another car show. It is still our favorite thing to do on dates after 25 years together. A local dealership was hosting a car show. We had no intentions of buying a car when arriving at our 2nd car show of the day. However, after my first time to ever get to drive a Dodge Challenger I was NOT leaving without it. 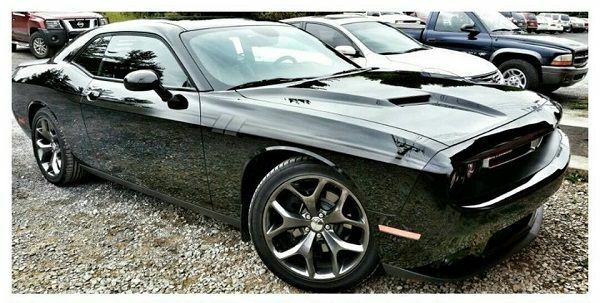 So, I owned my 1st Challenger. It was a 2014 SXT. It was Granite in color with white stripes. There were some issues with the paint of that Challenger that eventually lead to the dealership purchasing the car back 2 ½ weeks later. After the dealership bought that Challenger back from me I went to another dealership and purchased my 2015 Dodge Challenger SXT Plus with the Super Track Pak. It is black on black and absolutely gorgeous. I was seriously impressed by the power of the v6. My husband and son are still upset I didn’t get the Hemi, but I needed the gas mileage. This car has plenty of power for the everyday driver. However, after being convinced by my son, I do have plans to make it a sleeper. I have the “Mod Bug.” I love doing modifications to the Challenger that is affectionately named Stallone aka SLY. My son said that if I had to name it I had to give it a manly name. He is a die hard Sylvester Stallone fan and wouldn't have been happy if I named it anything other than Stallone. My favorite modifications so far have been cosmetic. I have added louvers to the back window and reflective black stripes. In the daylight the stripes have a ghost effect. In darker settings when light hit’s the car they shine brightly. I get a lot of compliments on both the louvers and stripes. The reactions that I get every time that I take the Challenger out are fantastic! It amazes me at all the different types and ages of people that stop me to talk about my Challenger or take photographs of it. I was standing in my kitchen one day looking out the window staring at my Challenger still in awe that it was actually mine. A memory came flooding back of standing in that parking lot telling the Lord that I would love to own a black on black Challenger. I couldn’t help but smile and praise him for blessing me with it. 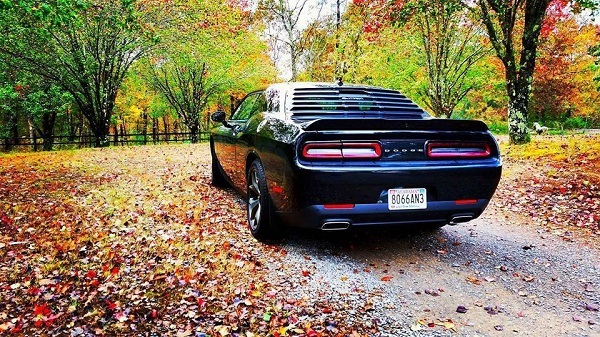 I also found myself praising him for the trouble that lead to the dealership buying back my 1st Challenger. You see, that was not the car that I had asked the Lord for. I asked for a black on black Challenger and the 1st one was a Granite. Although it was beautiful, it was not what I had asked the Lord for. I now owned the Challenger that I had wanted so badly. I was so surprised by the Mopar family. I joined a lot groups on Facebook. I was shocked at how many there were. Some of my favorites are Dodge Challenger Owners Association, Mopar USA and Mopar Photoautographs. The love and passion for these cars is astounding. The friendships that are formed are amazing. Men and women of all ages, races and economic backgrounds come together as a family bonding over their favorite cars! They are quick to share photographs of their beautiful Challengers and offer advice on modifications or technical questions. 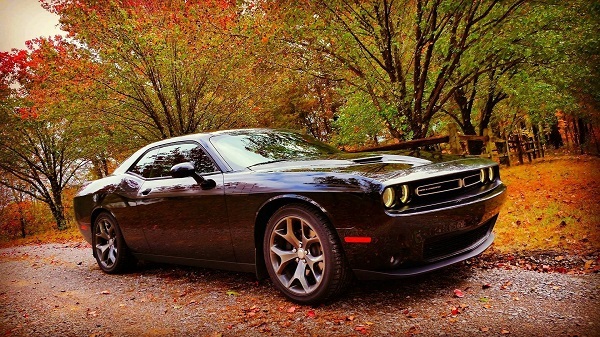 Another thing that spurred from this beautiful black Challenger was a desire to work for Dodge. I prayed for a job as a car salesman for Dodge. I mentioned it in the group and got great encouragement. There were even some of the members praying with me. Without any experience as a car salesman I walked into an interview at a dealership for a position as a Photographer/Website Manager. The next day I got hired as a car salesman! God is GOOD! What is even crazier than that is that I got to enjoy that experience but because of unusual circumstances I am now a business owner. I can only explain it by saying it had to be God. A woman that I met in one of the groups had messaged me about a Challenger while I was working at the dealership. She wanted me to help her find one. We searched and just a couple of weeks later Jessica is now the proud owner of a beautiful 2010 Hemi Orange R/T Challenger. We formed a friendship over our love for Challengers. I was floored when she offered me half ownership of an auto parts business that she was starting. That is how Modz Auto Parts was formed. It gives me the opportunity to work from home because we drop ship our products. I enjoy working everyday with people who truly love and appreciate their favorite rides! We are still in the start up phase of the business. We are working hard to get our web store up and running. Until then we are selling on Facebook and Ebay. We are very excited to offer quality name brand products that you can trust and rely on. So there it is folks, my crazy and wonderful story of my Challenger and what has spurred from it. Today is my 6 month anniversary with my Challenger. I have been astounded by the joy that it has brings to my life. I have a passion for photographing it. It has had the honor of being the car to be displayed on the Facebook cover for different groups 9 times. There was even a magazine that used a photo of it. That is truly an honor to me. 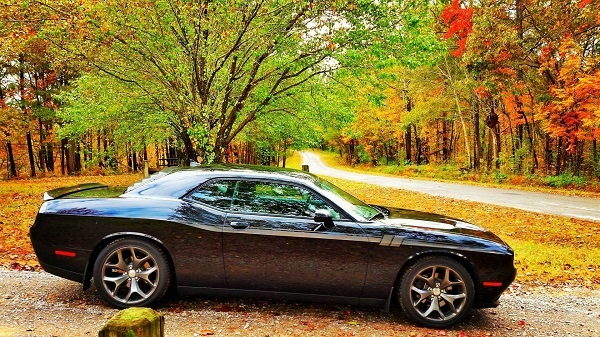 It combines my love for photography and my love for my Challenger. If you have not had the opportunity to drive a Challenger find a way to make it happen! However, I warn you these cars are addicting! There is just something about the way they look, drive and make heads turn that causes you to fall in love with them. You will have to own one!